Darkers have finally appeared on Omega, and are now fighting alongside the Demons. Making matters worse, Omega Hunar will also appear, posing a serious threat to the Buster Towers. Destroy the Devil Castle to claim victory. Quest Objective: Defeat the Devil Castle! Omega Hunar will spawn at the start of the quest and after the first Attack Phase. He summons Omega Arms which flys towards each Buster Tower, destroy them before they collide with the Buster Towers! 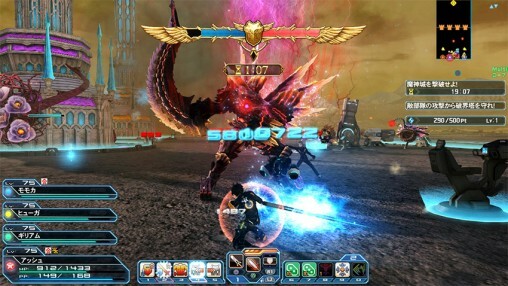 If you fail to defeat Omega Hunar within the Phase, he’ll increase in size and one-punch the Buster Towers. Defeating him is the only means of preventing the tower’s destruction.